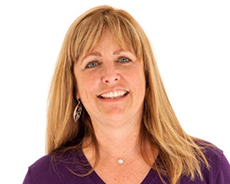 Cindy has more than 20 years experience in K-12 education, as a classroom teacher, a curriculum developer in educational publishing, and as Director of Curriculum Development and Professional Growth at a school for students with language-based learning differences. With a deep understanding of what works and doesn’t work for children who don’t fit the mold of a traditional classroom, Cindy has poured her wisdom, experience, and commitment into the founding of Sand Hill School. Outside of school, Cindy enjoys watercolor painting, walking her two Golden Retrievers and spending time with family and friends.